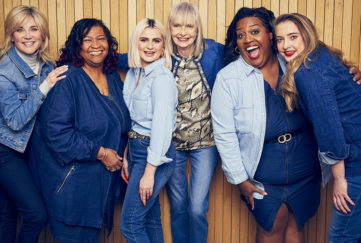 As worldwide TV success Doc Martin begins its eighth series on ITV, the much loved cast has been checking out Cornwall’s other much loved international hit – the ShelterBox disaster relief agency. There is a similarity. 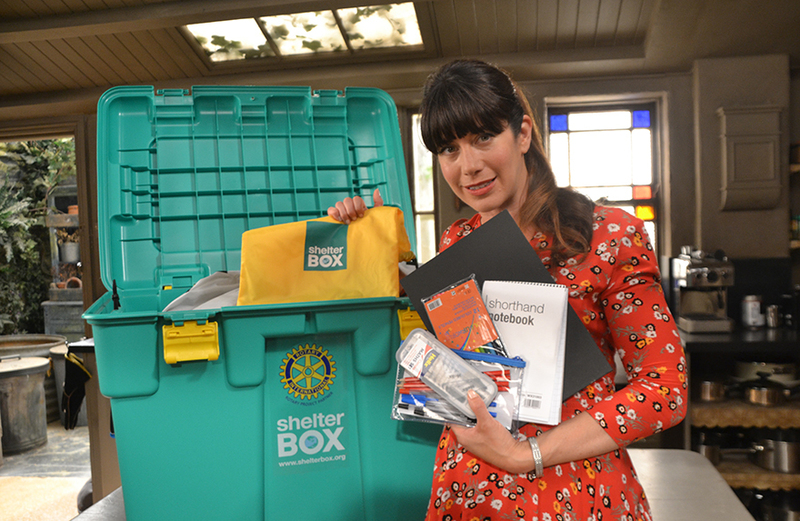 ShelterBox began in a small Cornish town in the year 2000, a great humanitarian idea that has now spread worldwide. Doc Martin also began in 2000, as a character in the hit movie Saving Grace. 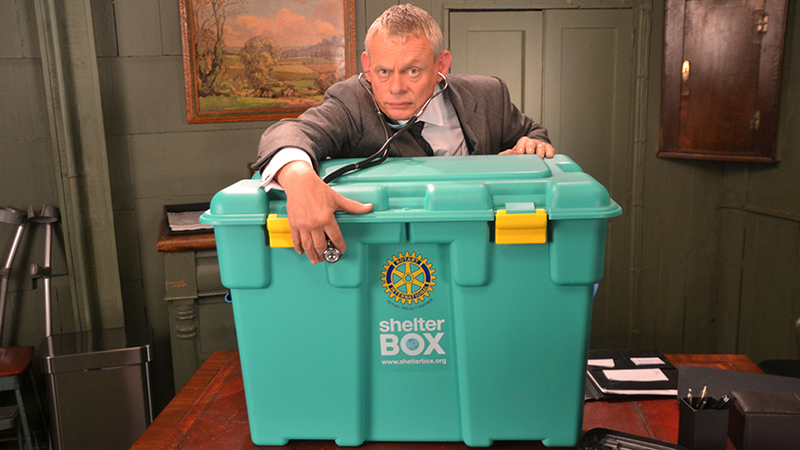 Grumpy Dr Martin Ellingham, played by Martin Clunes, is more often seen with his trusty leather doctor’s bag than with a green box full of lifesaving aid. 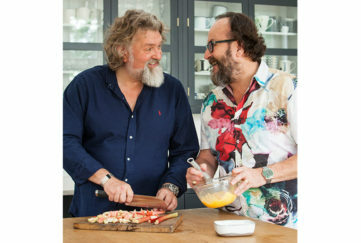 His brusque bedside manner has made him a favourite with the audience, but Martin and his fellow cast members – including schoolteacher Caroline Catz and Hollywood legend Sigourney Weaver – were more than happy to celebrate their new TV season by demonstrating local charity ShelterBox’s unique aid. Fictional Portwenn, where the drama is based, is in reality Port Isaac on the North Cornish coast, only 30 miles from ShelterBox HQ in Truro. ShelterBox is a rapid response disaster relief charity specialising in emergency shelter after natural disasters and during conflicts. Among the specially-sourced equipment packed into its distinctive green boxes are tents tested in extreme weather, solar lighting for when power is down, water filtration to combat disease, and items to keep families warm and able to cook meals together. The charity also distributes kits to help people repair their damaged properties, clear ground, and to waterproof roofs. ShelterBox relies on generous supporters to fund its vital work, receiving no government or EU funding. The charity has 17 overseas affiliates, and is the only official project partner of Rotary International. At present ShelterBox teams are in Nepal and Bangladesh responding to flooding, in the Caribbean responding to Hurricane Irma, in Texas and Louisiana responding to Hurricane Harvey, in Somaliland responding to drought and disease, and the Chad Basin, Cameroon and Niger responding to conflict and displacement. Our long term projects helping displaced families in Syria and Iraq are also continuing. For more information visit www.shelterbox.org.